With upbeat pop tunes kicking a background soundtrack on a gorgeous summer morning, dozens of kids play soccer, hone their hula-hooping skills and battle each other in myriad board games on the lawn adjacent to Gerlinger Hall. This is Duck Trails day camp, and it’s just the start of what will be a jampacked day full of fun activities for the 130-plus campers. 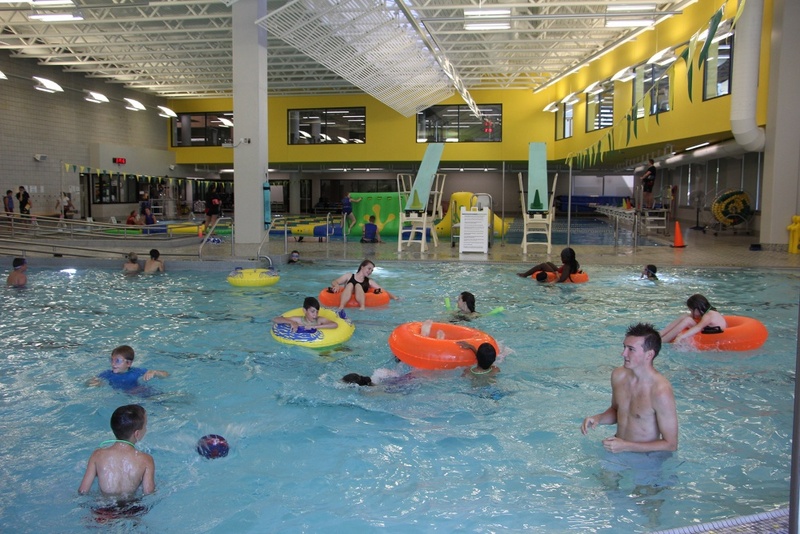 The popular camp fills up quickly, particularly with children of faculty and staff looking for a convenient outlet to keep their kids occupied when school is out. But it’s enriching, too. The kids take part in a mix of activities that keep them active and away from a TV or computer screen. 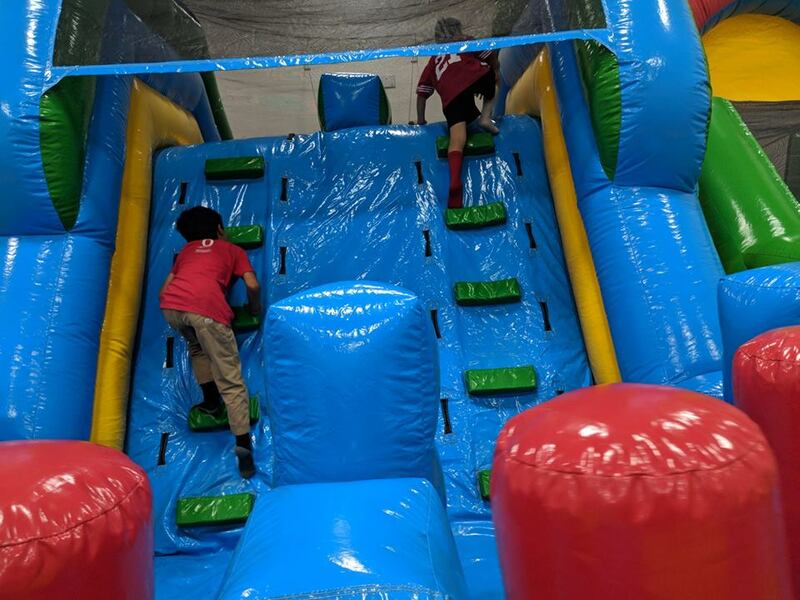 Arts and crafts, obstacle courses, swimming, rock climbing and games of all sorts fill up each day’s schedule. 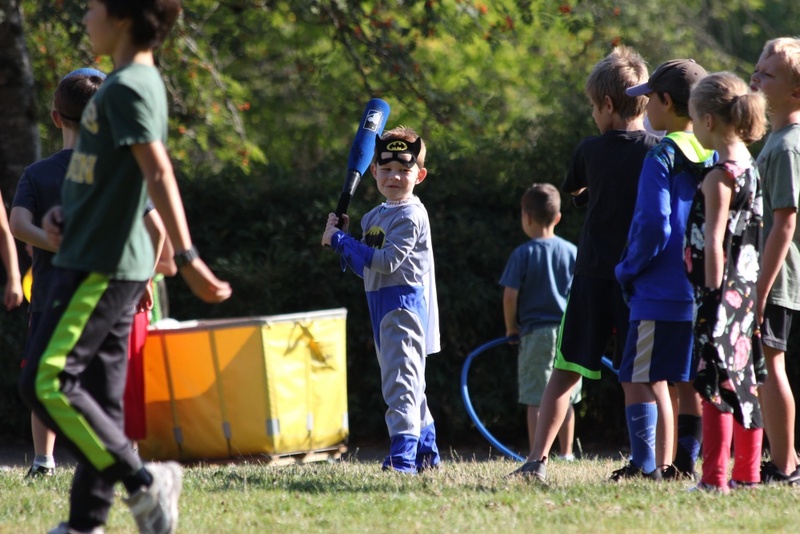 Duck Trails offers the Classic Camp for younger kids, as well as Sports Camp and Imagination Factory. 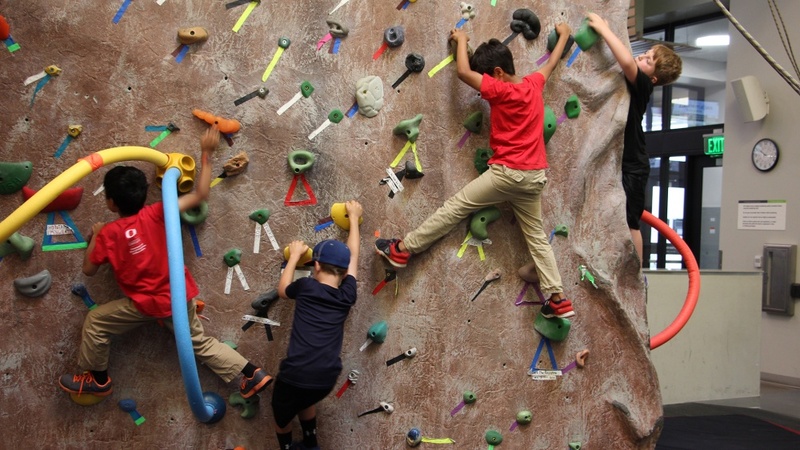 For kids 11 to 14, there’s Climbing and Outdoor Adventure Camp, EmpowerU for girls, and Sports Academy, a new addition this year. High-schoolers can take part in the Junior Counselor program, where they get a week of training and then can volunteer at the camp. There’s also camps during no-school days as well as over holiday and spring breaks. There’s little doubt that the camp is a unanimous hit with the kids. Swimming and rock climbing were the most-often cited favorites, but the other activities were close behind. “Today there was a game with a beach ball,” chimed in his sister, Isadora. “Beach ball soccer,” noted Oliver. Several parents liked the idea of having their child in a college setting with counselors who are students themselves. 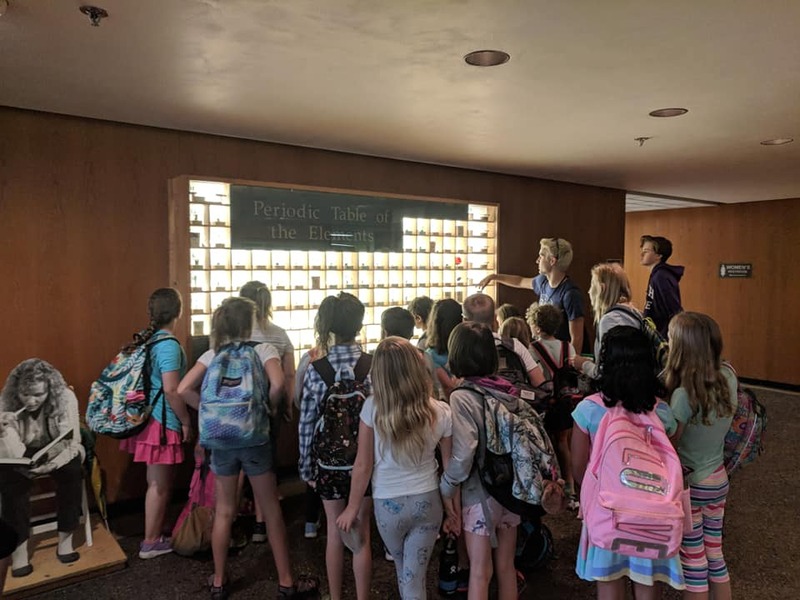 “It exposes the kids to higher education in the sense that they’re connecting with people who are actively enrolled and pursuing their dreams,” said Ellen Grant, whose son, Porter, was a Duckateer in Classic Camp. Parents consistently praised the competency and enthusiasm of the counselors. “The counselors are phenomenal, so wonderful, they take such good care of us, all of us,” said Sandra Anderson, echoing a common theme. Sam Wallace, the director of the camp, enjoys hearing feedback like that. It’s a competitive process to get hired as a counselor, all of whom must be current students or recent grads. Most have ties to the university. Wallace and her team began planning in January, and when registration opens in March with an open house, a majority of the spots quickly get gobbled up. 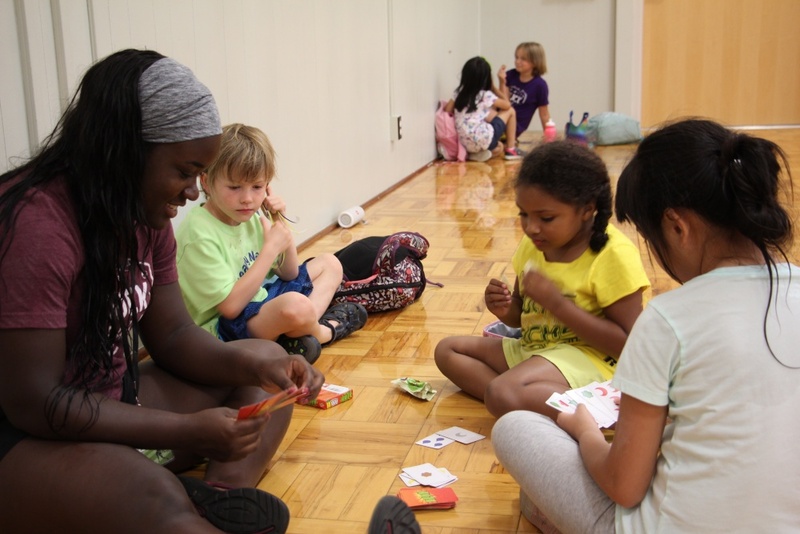 As many as 160 campers take part each week, and each day has up to eight activities. 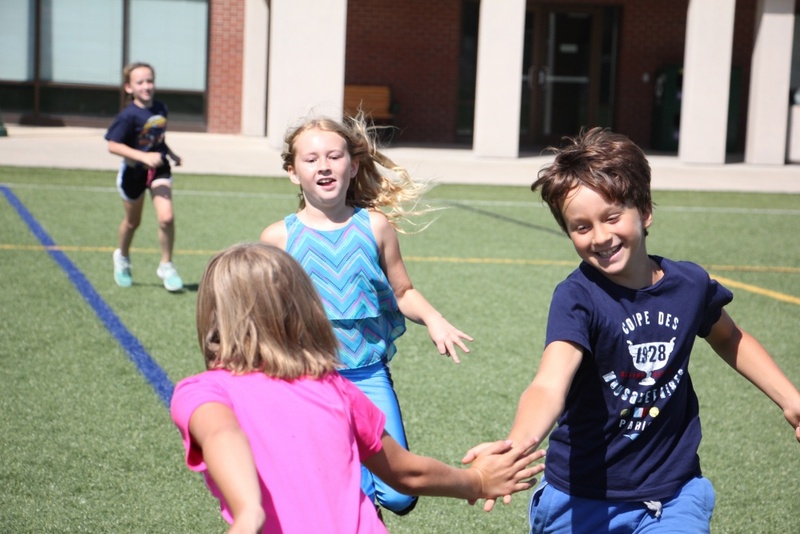 The camps also provide excellent opportunities for students who might be eyeing a job in teaching or recreation to get solid experience for their resumé. Wallace and her PE and recreation colleagues help the students articulate the camp experience on their resumé. It’s not an easy job. Counselor Brendan Amesbury, aka Zephyr, said he regularly logs 20,000-step days on his pedometer, with a personal best of around 37,000 steps. It’s a lot of work, but it’s also a lot of play. At the end of each day, the kids head to McArthur Court, where they play informal games or just chill out while waiting for their parents to pick them up. As they walk out, the counselors manning the sign-out desk all wave and say goodbye to each camper by name. The farewells are enthusiastically returned — “Bye, Grizzly! Bye, Zephyr!” — and the smiles on the campers’ faces show the day was a success.